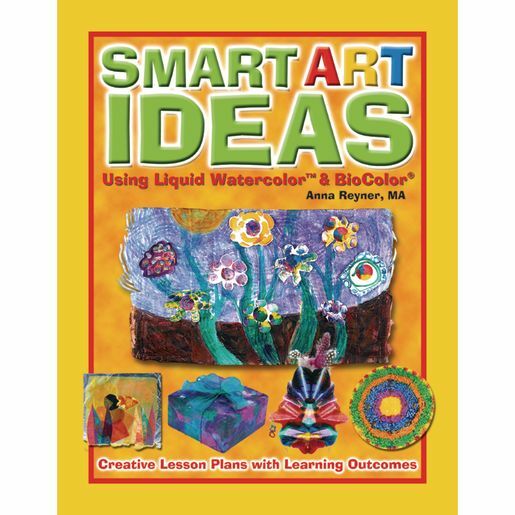 An exciting collection of creative, outcome-based lesson plans using BioColor® and Liquid Watercolor™ from nationally recognized arts advocate Anna Reyner. From mural designing to print making to experimenting with "Fluffy Goop" and "Salad Spin Art," the 36 Smart Art activities outline and meet important developmental goals in each lesson. Insightful articles on the value of art in education complement these fun and exciting activities. Paperback, 50 pages.